The use of a picture of the infamous Auschwitz Nazi death camp on the cover of a “welcome” leaflet for students at a Cambridge University college has angered some within the college community. The offending image was displayed on the front of a programme welcoming students to prestigious Emmanuel College. 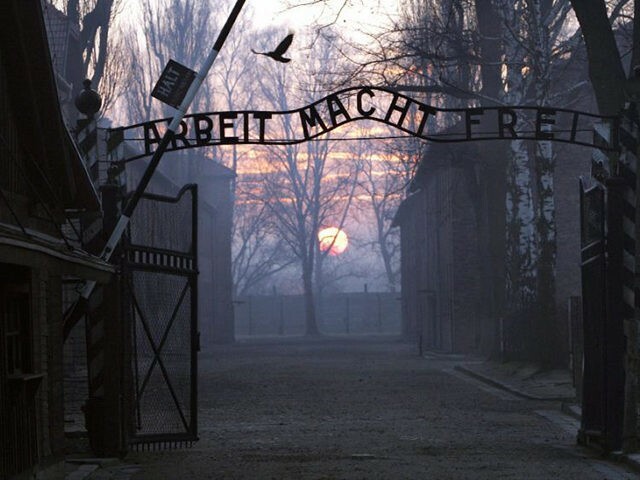 The college has apologised over the use of the photos of the gates of Auschwitz, bearing the slogan “arbeit macht frei” (work makes you free), the Cambridge News reports. A second-year student at Emmanuel College, who asked not to be identified, told the News: “I just saw the programmes for the welcome service the Dean is doing and they have put a big picture of the entrance to Auschwitz on the cover. “The students who have seen that are understandably upset. The welcome service is being targeted at first-year students and is being held in the chapel. The Dean said the “iconic image of evil” was paired with his welcome sermon, highlighting the evil in the world and the self-sacrificing steps people can take to resist it. Rev. Caddick maintained the images were never meant to upset anyone. “It is there because some of the choir went on a trip to Poland,” he said of the picture. “It included a visit to Auschwitz. The sermon is a reflection of that. A spokeswoman for Emmanuel College told the News: “We understand that without context, this image may have upset people and we apologise for its use in a way that has caused distress.